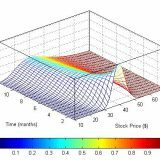 April 8, 2019 by Harbourfront Technologies 0 comments on "Stationarity and Autocorrelation Functions of VXX-Time Series Analysis in Python"
November 29, 2018 by Harbourfront Technologies 0 comments on "Merton Credit Risk Model, a Case Study"
September 23, 2018 by Harbourfront Technologies 0 comments on "Credit Risk Management Using Merton Model"
June 23, 2018 by Harbourfront Technologies 0 comments on "Are Collateralized Loan Obligations the New Debt Bombs?" Are Collateralized Loan Obligations the New Debt Bombs? Read More Are Collateralized Loan Obligations the New Debt Bombs? March 25, 2018 by Harbourfront Technologies 0 comments on "Black Swan and Volatility of Volatility"
January 28, 2018 by Harbourfront Technologies 0 comments on "Correlation Breakdown"
December 22, 2017 by Harbourfront Technologies 0 comments on "Liquidity Risk and Exchange Traded Funds"
September 30, 2017 by Harbourfront Technologies 0 comments on "Is Value at Risk a Good Risk Measure?" Is Value at Risk a Good Risk Measure? Read More Is Value at Risk a Good Risk Measure? August 14, 2017 by Harbourfront Technologies 0 comments on "VIX Futures Leads Cash Market: Tail Wags Dog"
July 29, 2017 by Harbourfront Technologies 0 comments on "Potential Black Swans and How to Hedge Against Them"